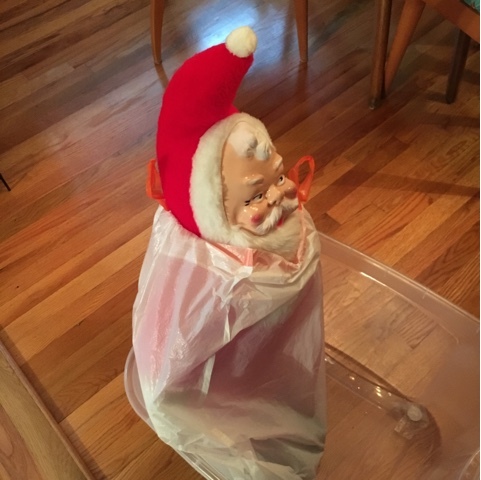 Have you put your Christmas away yet? This is such a common question this time of year and I have already had several people ask me how I protect and store my vintage holiday items. Since for me this has been a strange and ever evolving process, I thought it might be helpful to share what I’ve learned! 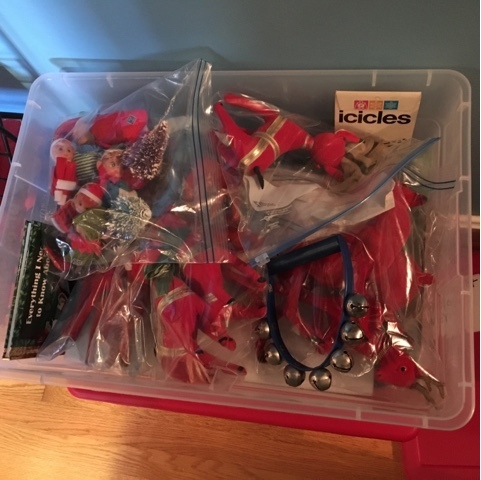 Ever since I started collecting vintage Christmas I have been working to find a foolproof and organized system of storage from year to year. So much of what has evolved into my current system seems like complete common sense to me now but I really wish I had started out with this info years ago–it would truly have made life so much easier. With the help of some important organizing tricks of the trade from my blog sister Jennifer Burnham of Pure and Simple Organizing, I think I may have finally honed my forever storage plan! The biggest switch I initially made was moving everything from cardboard boxes to plastic bins for allow for more sturdy, stackable protection in my attic. These large plastic bins often show up at the ReStores, so keep an eye open and pick them up there at a fraction of the cost of new whenever you see them! Some of my items were just in large vintage cardboard boxes- these are fun to look at and read but just not practical for actual safe storage and will weaken over time. 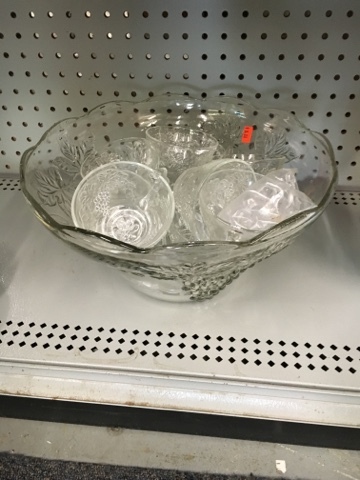 I highly suggest using clear see-through bins; this helps with item identification. 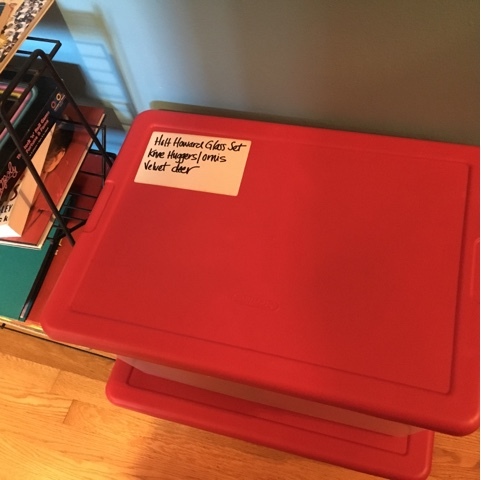 My very favorite tip from Jennifer is to color code the lids of your bins to the season for ease of organization and quick identification in your attic, basement or wherever you store these items— brilliant, right?! So as of this year most all of my Christmas vintage has been switched to bins with red lids! 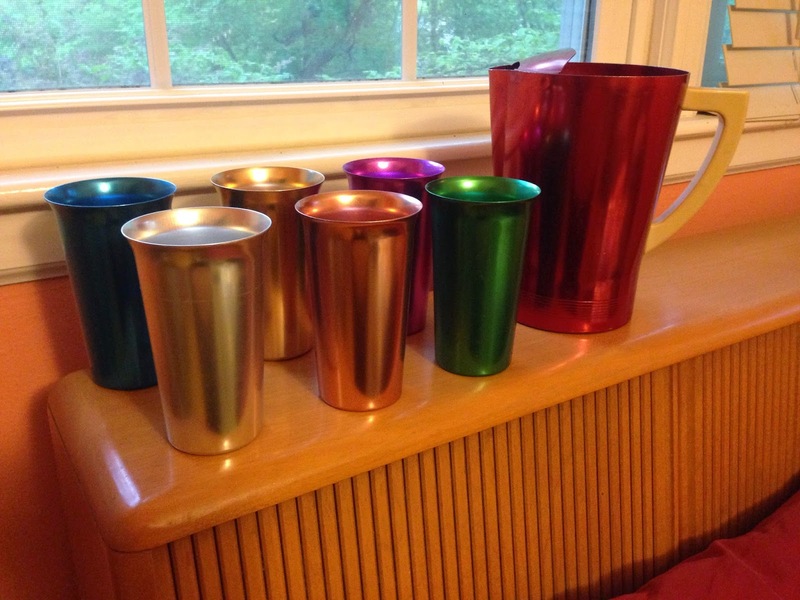 I’m going to store spring & summer items in pastel bins, and fall in gray. 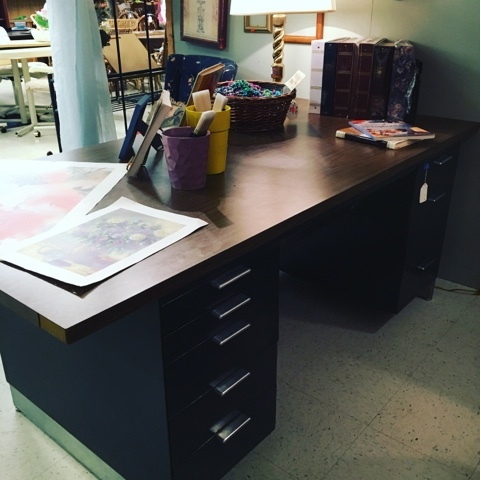 I love the idea of being able to find my stuff at a quick glance; thanks for this great tip Jen! 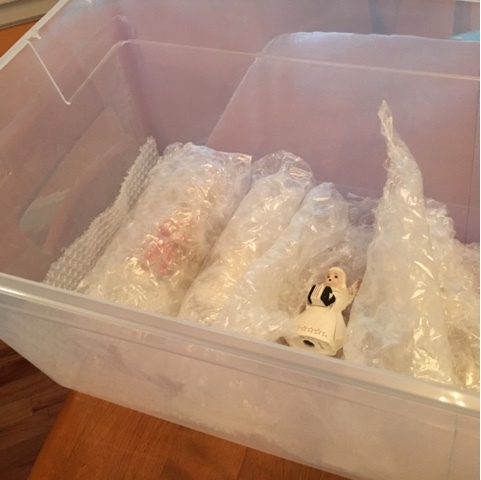 I layer the sides and bottom of the bins with bubble wrap before I put anything else in for a layer of cushioning. 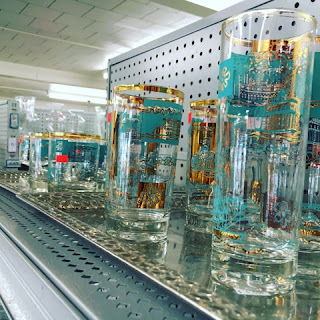 Anything breakable gets wrapped individually and often times put into a smaller cardboard box before it gets packed in the bin to provide an extra layer of safety against breakage. 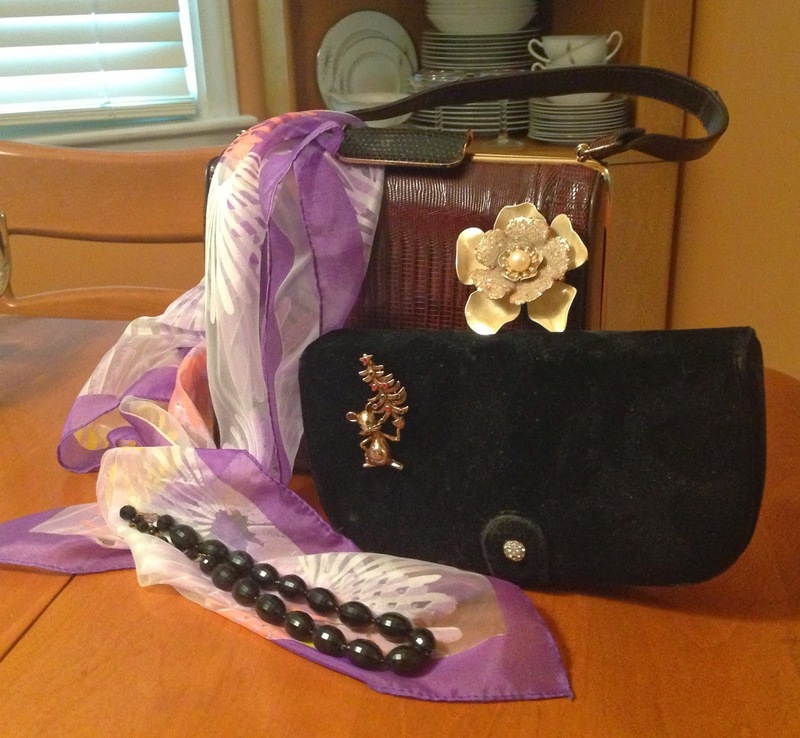 -I always pack collections and similar items together. If collections take more than one bin I will number them: 1/2, 2/2 etc. 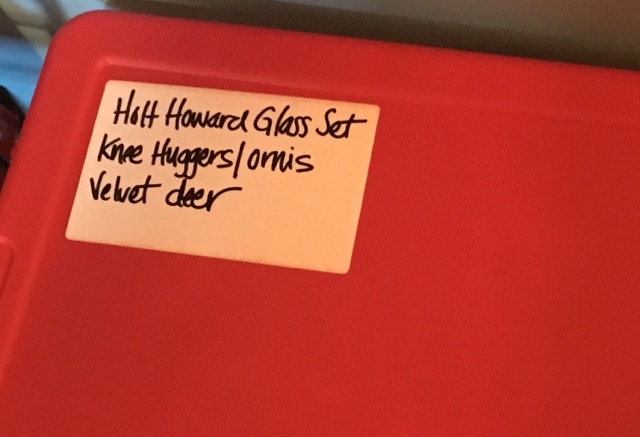 -I use masking tape or a label on the outside (rather than writing directly on the outside as I typically did on the cardboard boxes) so I can know exactly what I have stored in each bin. If I want to change it around next year it’s easy; I take off the old label or tape and replace with an new updated one. 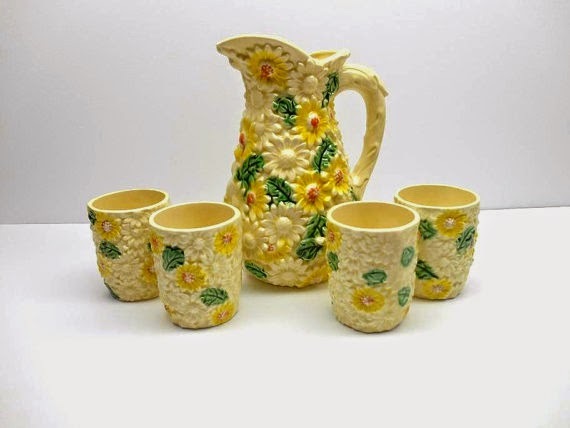 -Items that aren’t breakable but may collect dust (anything flocked, velvet or plush) get packed in individual plastic baggies. 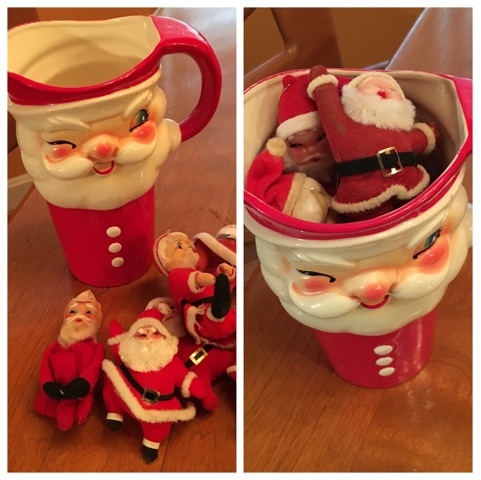 -Sometimes I pack unbreakable items down into a breakable container like shown with these flocked Santas in the large ceramic Santa pitcher. 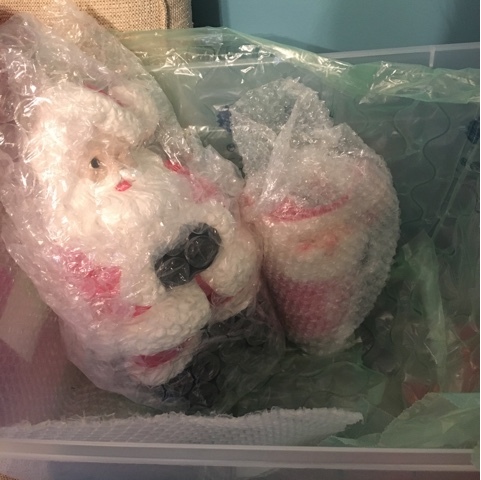 It then was swaddled in lots of bubble wrap before it was placed in the bin. It typically takes me much longer to pack it all away because everything has to be packed carefully so I can enjoy it just as much next year! 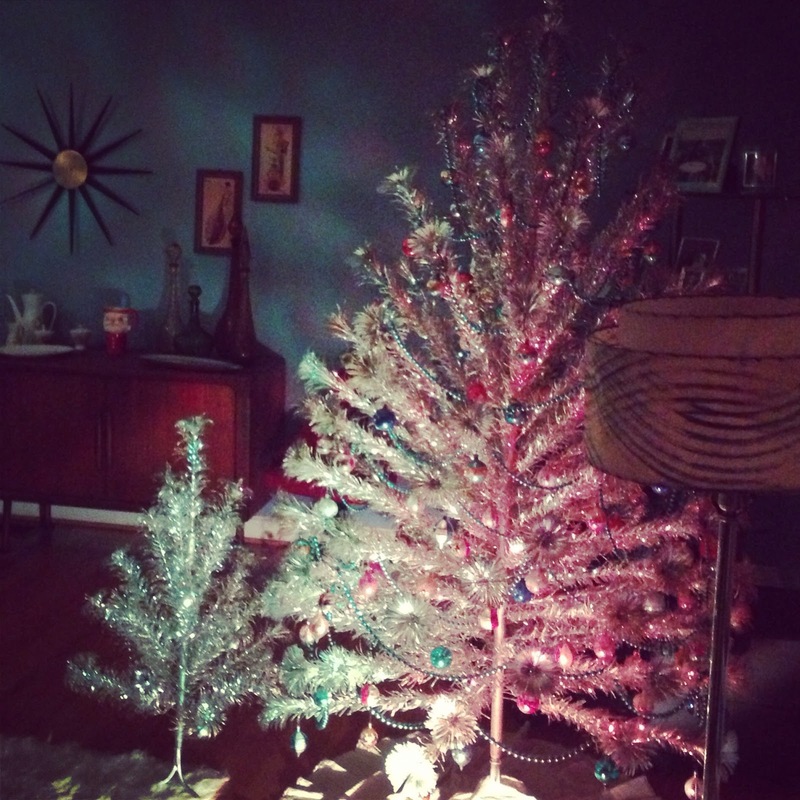 This is not nearly as much fun as putting it all up- but very necessary. 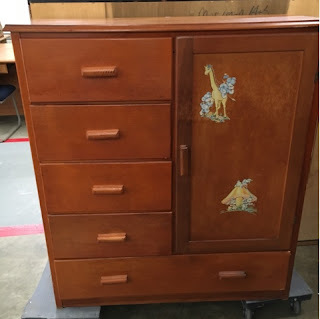 What are your vintage storage tips? I’d love to hear them…. 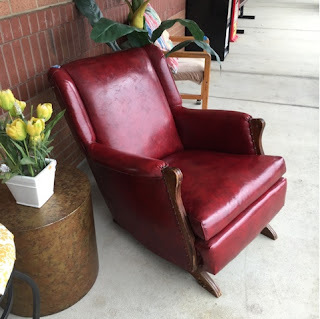 The blog sisters of the Habitat Metro Restores made another trip recently to outskirts-this time to the Lincoln County Restore to find treasures! 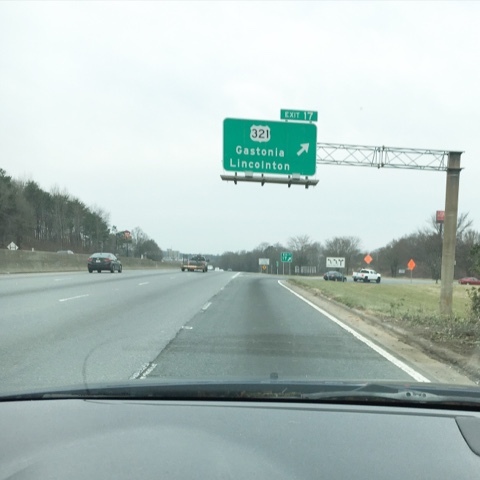 It’s not but about 45ish minutes out of Charlotte…. 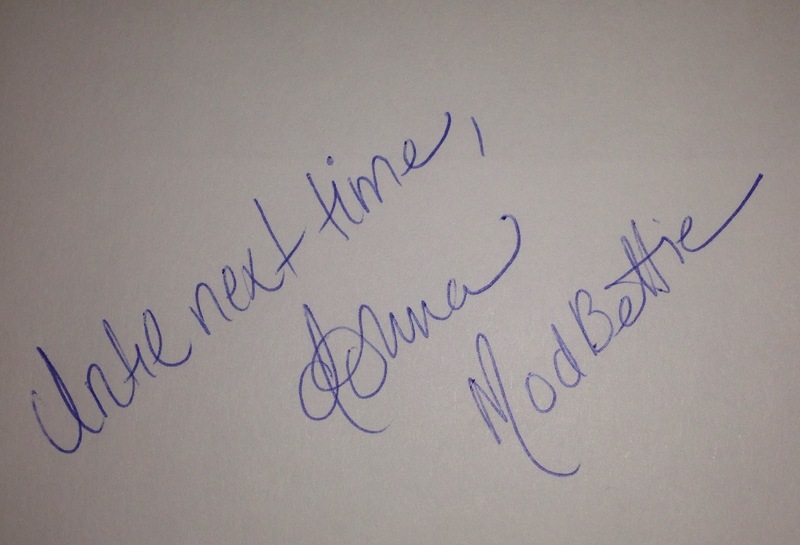 There was plenty of mod goodness to be found and some surprises! 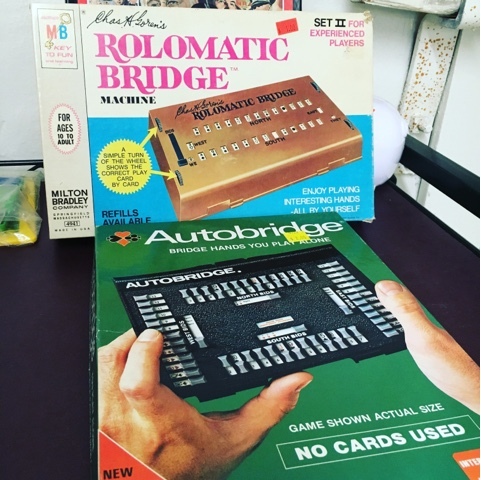 There were some fun midcentury games-can you get any more midcentury than bridge? Convinced yet?! You know what we say… “Get outta town!” to find those Restore deals! 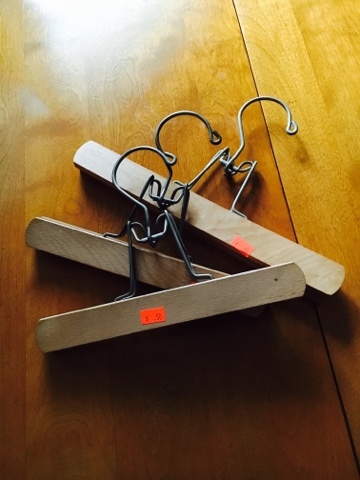 One of my accidental vintage collections is vintage hangers. 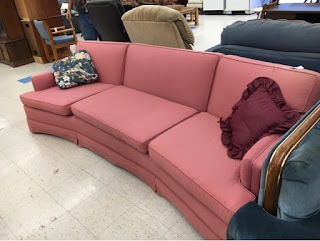 This is a genre of vintage that I’m not event sure I knew existed until I started running into them at Restores everywhere. 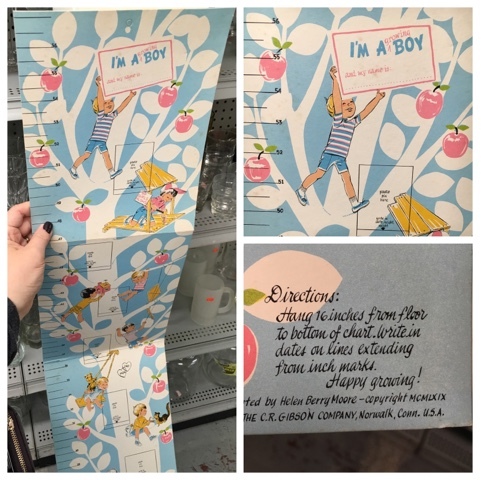 There are basic wooden ones that have a nice patina, novelty ones for children’s rooms, branded ones that were often used as giveaways for upper end department stores and dry cleaners, wire pants hangers and tons of other interesting variations. 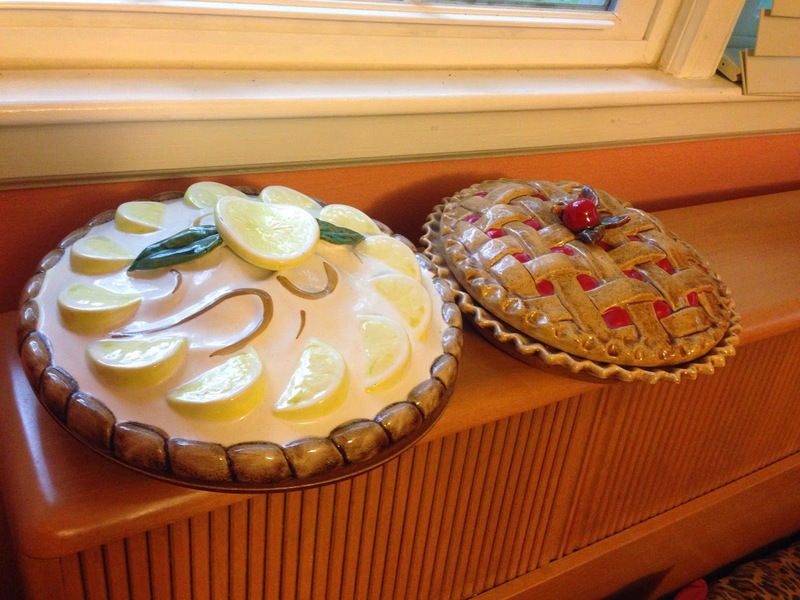 I started picking them up because they were inexpensive and have discovered that they have many creative uses in home décor too! 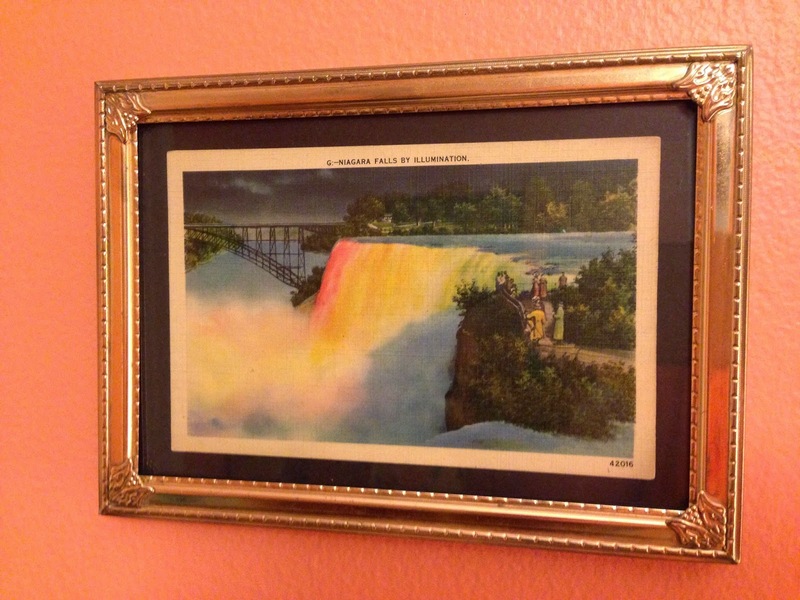 There are so many interesting unique shapes, why not just use them as wall art? 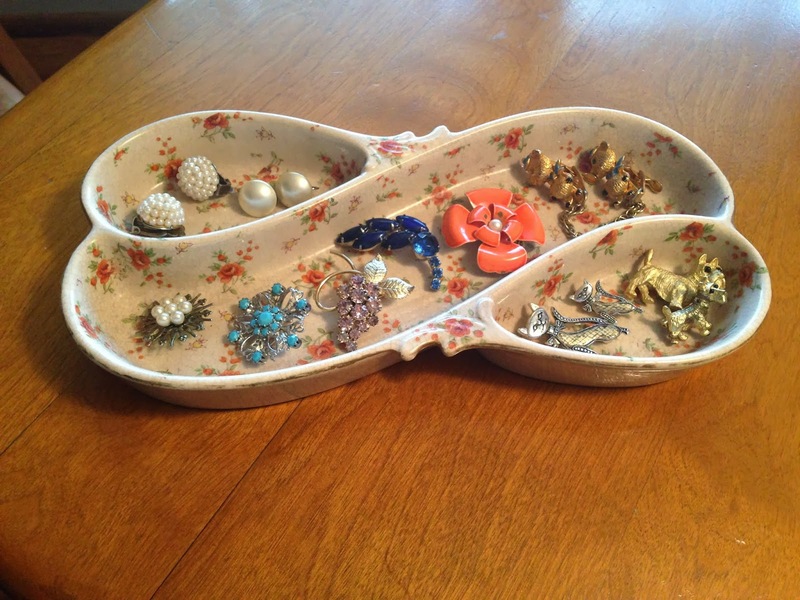 And this is a clever DIY: as a towel rack in a bath area complete vintage knobs! 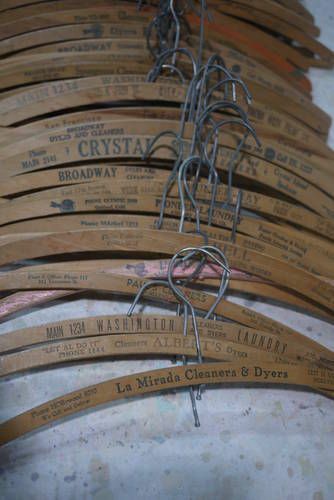 For some more DIY and up cycling ideas for vintage hangers check out my Pinterest board on them here. These hangers can sometimes be picked up for as little as .50- just like these I found on our last ReStore field trip to Lincolnton so start scouting for them! 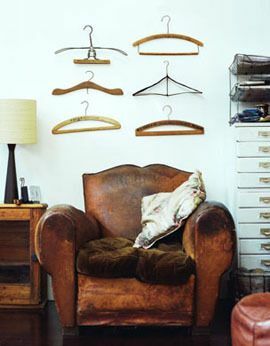 What uses have you found for vintage hangers? I’d love to see…. Sometimes I buy something for one purpose and then I surprise myself by using it for something else entirely. Does this ever happen to you? 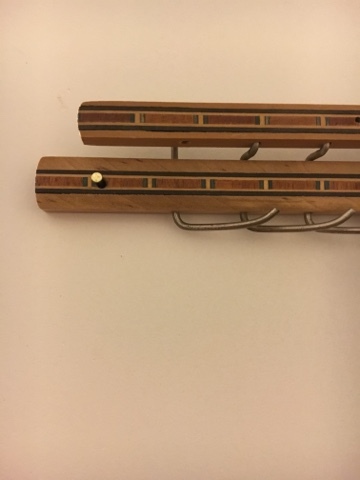 Case in point: this lovely wooden inlaid vintage tie rack. I loved it from the minute I found it for $1 and figured I’d use for organizing somehow, though I wasn’t exactly sure how when I blew the dust off of it at the ReStore. 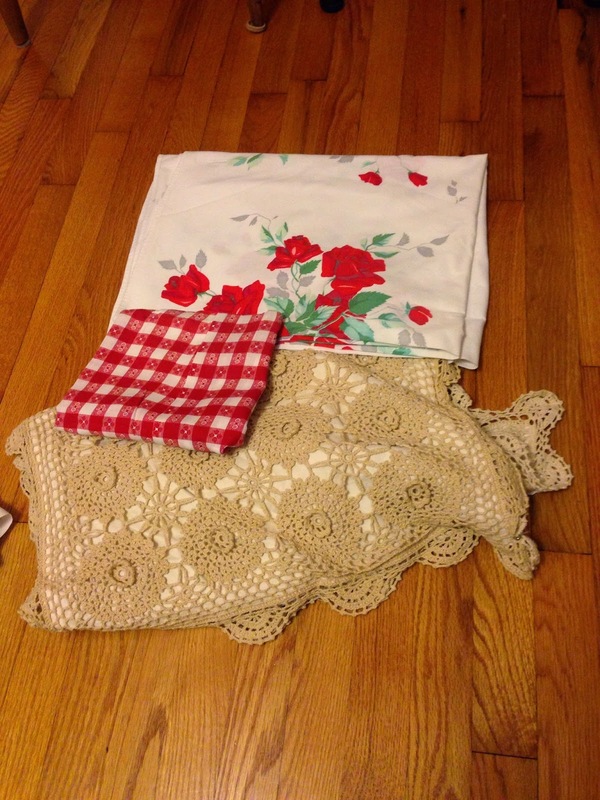 When I found this rack awhile back, I thought it may be perfect for hanging scarves. I love scarves and have tons of them and I am always trying to think of a cool, unique way to organize them; it made sense and I thought it might make a cool wall display. 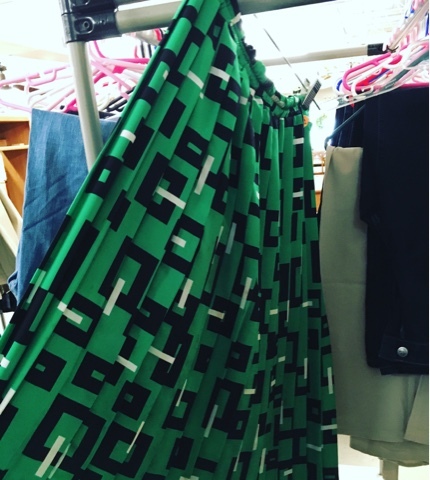 Last week I decided I would hang the rack and start organizing some of those crazy scarves. 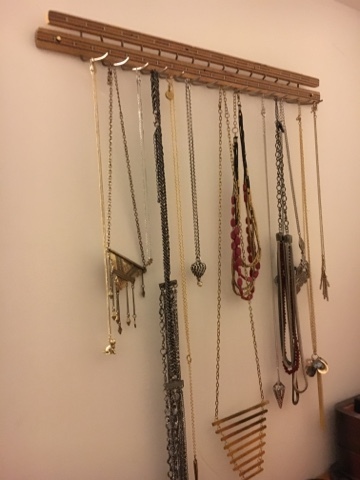 I started my process of moving the tie rack around the walls to see where it might fit and as my eyes landed in a pile of not-so neat costume jewelry necklaces it hit me: this thing would be even more AWESOME for organizing my necklaces! 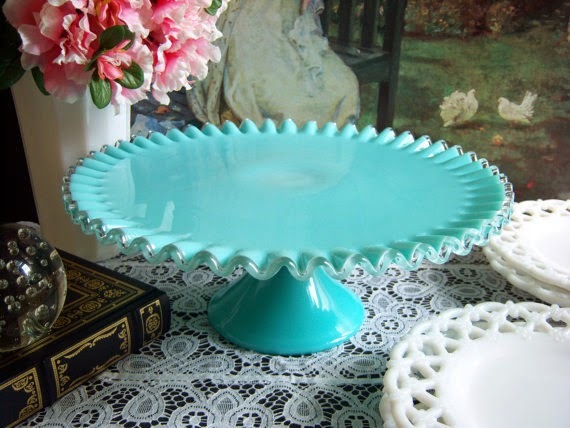 As you move along in your vintage hunt it’s a always a good idea to have a running list of things you know you want to find: a specific piece of mod furniture, some wall art, kitchen or barware for your collection, etc. I like to shop this way– always with a general plan in mind. But when shopping vintage you should also always be open to the appearance of that unexpected special item which you may be able to eventually use for something….even thought you are not quite sure exactly what just yet. 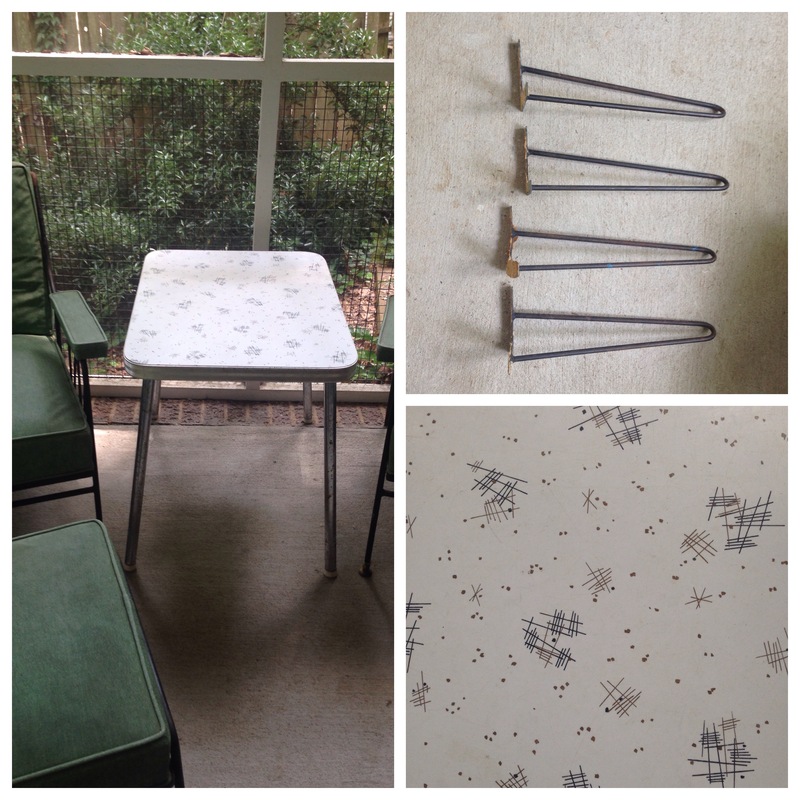 It’s an “opportunity buy” and these are usually just too good to pass up! 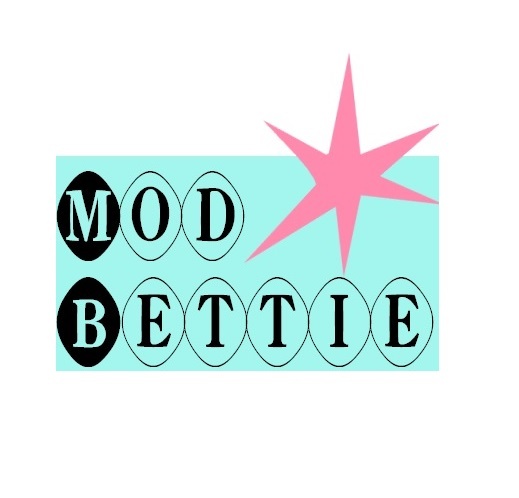 My Mod Bettie case in point: hairpin legs at the ReStore.